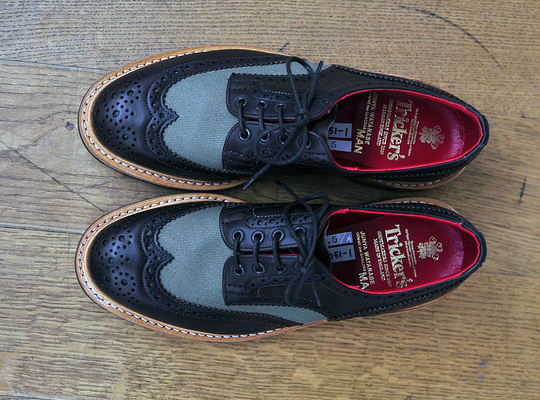 Another release has occurred from Japanese brand Junya Wantabe as they continue to collaborate with Tricker’s on pieces for their Fall 2011 collection, which will include this intricately detailed brogue. After releasing a brogue boot and brogue sneaker with Tricker’s, we knew it was only a matter of time before they came out with a truly stunning brogue- and it most certainly does not disappoint. These perforated leather and canvas shoes will be available in two different colorways through Junya stockists for the Fall 2011 season. 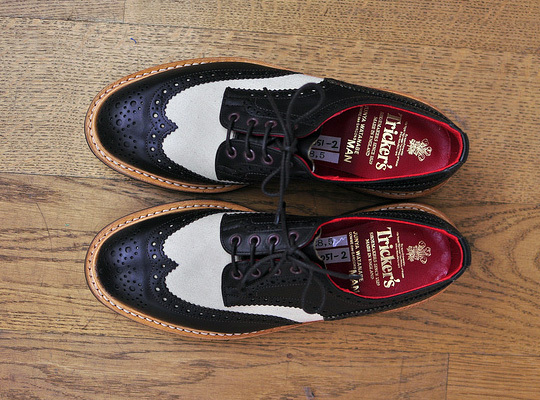 This entry was posted in Footwear and tagged Junya Wantabe, Junya Watanabe, MAN. Bookmark the permalink.